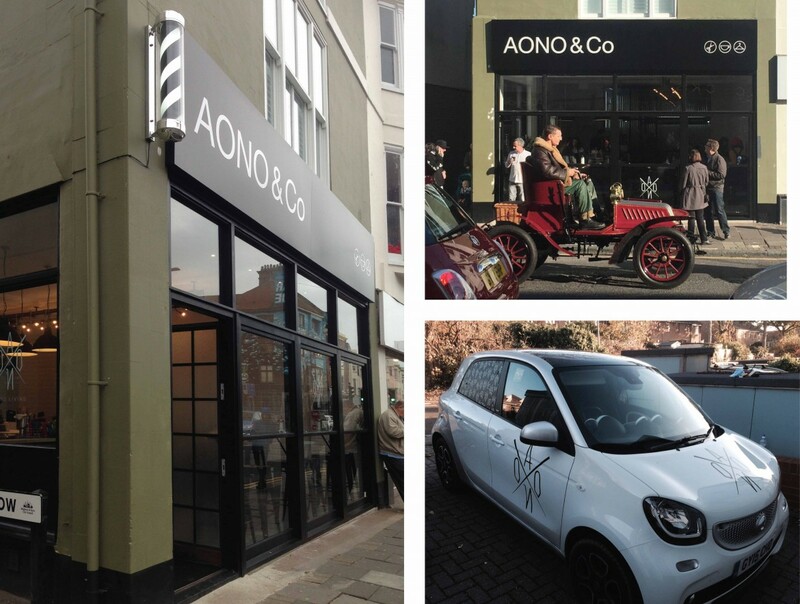 We were asked to complete the interior and exterior signage for AONO's newest venture in Brighton. The interior signage consists of laser cut acrylic with matt black vinyl applied for the internal logo and slogan and cut white vinyl logos applied to the windows. For the exterior signs we produced a customised barbers pole and black shop sign with cut white vinyl. To complete the branding we applied matt black vehicle graphics and wrapped the rear quarter light windows of their company car.